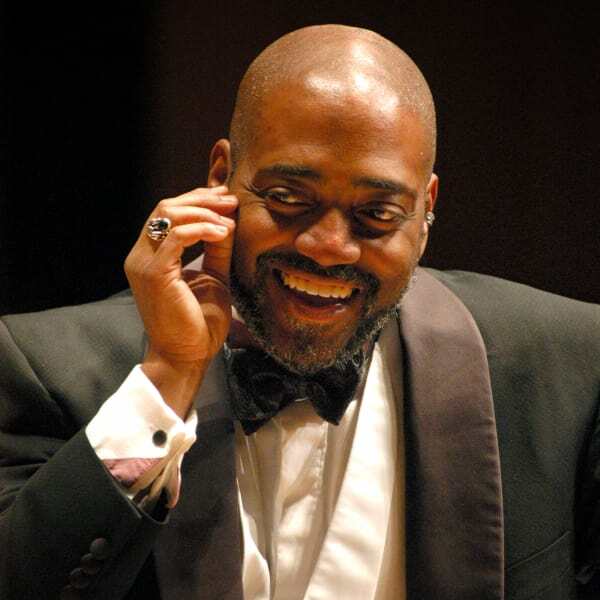 William Eddins has a captivating energy, a magnetic stage presence, and an adventurous musical curiousity that continues to propel the orchestra to unique, new and excting achievements. His commitment to the entire spectrum of the ESO audience brings him to the podium for performances in every subscription series, as well as for a wide variety of galas and specials. A distinguished and versatile pianist, Bill was bitten by the conducting bug while in his sophomore year at the Eastman School of Music. In 1989, he began conducting studies at the University of Southern California with Daniel Lewis, and Assistant Conductorships with both the Minnesota Orchestra and the Chicago Symphony (the latter under the leadership of Daniel Barenboim) followed. Bill has many non-musical hobbies including cooking, eating, discussing food and planning dinner parties. He is also quite fond of biking, tennis, reading and pinball. He recently completed building a state-of-the-art recording studio at his home in Minneapolis, where he lives with his wife Jen (a clarinetist), and their sons Raef and Riley. While conducting has been his principal pursuit, he continues to perform as a pianist, organist and harpsichordist. He has conducted the ESO from the keyboard on many occasions, and in 2007, joined then-ESO concertmaster Martin Riseley and cellist Yo-Yo Ma in Brahms' Piano Trio No. 1 at a gala concert celebrating the 10th anniversary of the Winspear Centre. In 2008, he conducted Gershwin’s Porgy and Bess for Opéra de Lyon, leading to a repeat performances in Lyon, London, and at the Edinburgh International Festival in 2010. Other international highlights include a 2009 tour of South Africa, where Bill conducted three gala concerts with soprano Renée Fleming and the kwaZulu-Natal Philharmonic Orchestra. On May 8, 2012, Bill made his Carnegie Hall debut conducting the ESO at a memorable concert featuring four Canadian soloists, and music by three Canadian composers alongside Martinů's rarely-performed Symphony No. 1. William Eddins is the Edmonton Symphony Orchestra’s first Music Director Emeritus, a new chapter in a long and fruitful relationship that began when Eddins first conducted the ESO in May 2004. Music Director Emeritus is an honour reserved for symphony leaders whose impact is both transformative and lasting, and whose legacy is particularly meaningful, both to the orchestra and the audience, and especially to the broader community. Symphonies in Detroit and Chattanooga are among the ensembles who’ve bestowed Emeritus distinctions on beloved leaders. Send a message to William Eddins, our Music Director Emeritus.